The Albany Gems is Albany's competitive youth dance team. We have nearly 40 girls ranging in age from 8-14 years old. Our program teaches younger dancers health, fitness, responsibility, community involvement and overall life lessons through the art of dance. The Gems have had the opportunity to compete in the Oregon Junior Dance Team Championships (OJDTC) the last two years, they placed 3rd in 2016. In previous years the OJDTC has been held in the Portland Metro area, we were able to car pool and make a long day trip out of the event. Due to facility changes, the OJDTC competition has been moved to Hermiston, Oregon this year. Hermiston is a 4.5 hour drive from Albany. This obviously creates a bit of a dilemma for us. The drive to and from Hermiston is a 9 hour trip, we don't feel this is safe for our 40 young dancers, coaching staff, and chaperones. Our girls have worked REALLY hard this year, we want to give them the experience of competing in their championships. In order to make this possible, we have decided the only feasible solution is to charter a bus to Hermiston and stay overnight locally. As you can imagine, this trip is going to increase our budget for the year exponentially. Travel and lodging for approximately 55+ people we expect to incur approximately $4000 in expenses. You may wonder why we would decide to take a trip for one competition that will cost us that type of expense. For our team, it's not about the competition, it's a way to teach our girls that rewards come when we earn them, also that we don't give up on our dreams when obstacles get in the way. If you have worked with or met these girls you would know that they more than "earn" this experience. Not only do they work hard in the gym, but they strive to be the best in their classrooms as well. When they aren't dancing or doing homework they are volunteering their time and energy to their community. The Gems volunteer at many community events such as, River Rhythms, NW Art and Air Festival, Festival Latino and Relay For Life. Last year they collected nearly 5,000 items at Christmas for the homeless, they will start their Winter Community Service project soon. Our girls are well deserving of the opportunity to finish their season with a trip to the OJDTC, we hope our community can help us out. In addition to taking personal donations, the Gems will be approaching potential businesses for sponsorship. If you are interested in becoming a Gems sponsor please let us know so we can come visit with you! Thank you to everyone that supports our team and has helped us get this far! We are just 23 short days away from sending our Albany Gems to the Oregon Junior Dance Team Championships! These 37 girls have been incredibly successful while remaining incredibly humble these last few months. 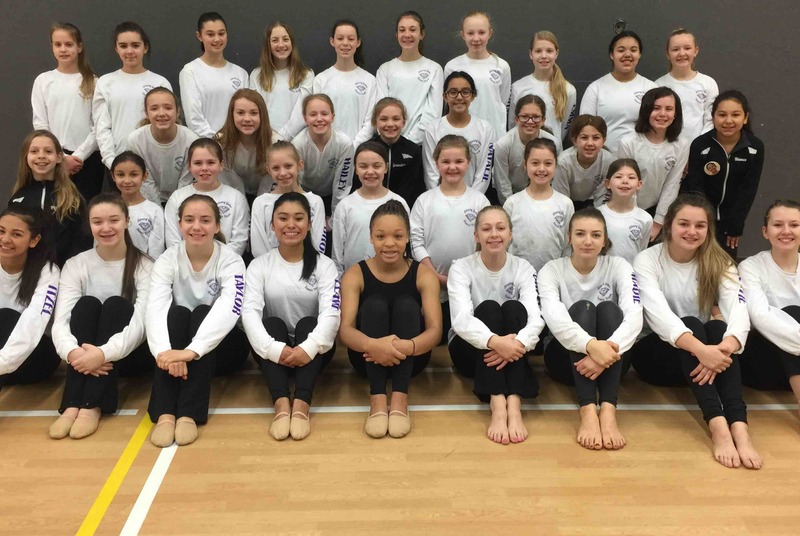 Between January to March this team has competed 6 times at Junior Dance Team Competitions. They have blown away both the audience and the judges at each of these events resulting in 6 1st place finishes. We are down to the very last competition of their season; State. We have had some wonderful sponsors step up and help make our trip to Hermiston possible this year and we are SO grateful! As you can imagine, traveling with, dressing, and feeding a team of 37 definitely has its financial downsides, but our girls have really pushed themselves to raise their money for the year. Due to a number of changes in our schedule/destinations this season we have incurred a few extra financial requirements that we hadn't planned for. One exciting opportunity that we have, that is new to us this year, is the opportunity to allow some of our girls to audition for a "Junior All-State" team. We're really excited about the opportunity for some of our girls to show their individual talents, but there is an expense for each girl we sent to audition. Because this group of young girls has worked harder than any team we know, have given their open time to giving back to their community, and because they have really brought pride to the Albany Dance Community, we want to make sure these last 23 days of their competitive season are everything they deserve. This is why we've chosen to bust open the fundraiser page again in hopes that the community would come together and pitch in one more time this season to help these girls out! We appreciate each and every person that has supported this team this year and our girls hope to make everyone proud and bring home their very first Oregon Junior Dance Team Championship on April 8th! Nana Laura & Papa Lynn Good Luck to Daisy & the Albany Gems!! We love you DAISY!!! Good Luck to Daisy and all the GEMS dancers!